Changes are inevitable in human life. But nobody likes drastic changes in their life. So imagine moving away from the place you called as 'home' for decades. I had experienced it when I came to US leaving my home behind and all the relatives back there. But in my heart the elation of meeting my husband and my parents over powered my sadness of leaving my home and adjusting to new environment. It’s the phase of the life where we have to move to different locations and leave all you love behind. My parents are retired and they are going through that phase. On the other hand my kids are happy that they don't have to go to summer camp because grandparents are home to watch them. One of our church family friends is also moving to another state after spending so many years of their lives here. We all were shocked when the news was broken to us in the church. It was hard to digest for many of us. We saw their kids growing along with our kids and sure they will be missed a lot in our closely knit small community. It’s hard to replace those people who make a great impact in a small community when they are around. We experienced that when we went to pick up my parents from NY when their friends were bidding farewell to them at church. Life is full of unpredictable and surprises and we all go through it at some point of our life. I read somewhere that 'Take the unexpected as expected in your life and you get the strength to hurdle it with great ease'. Since summer is here and the berries are in season, I was impatiently waiting all these time to start using my ice cream maker. 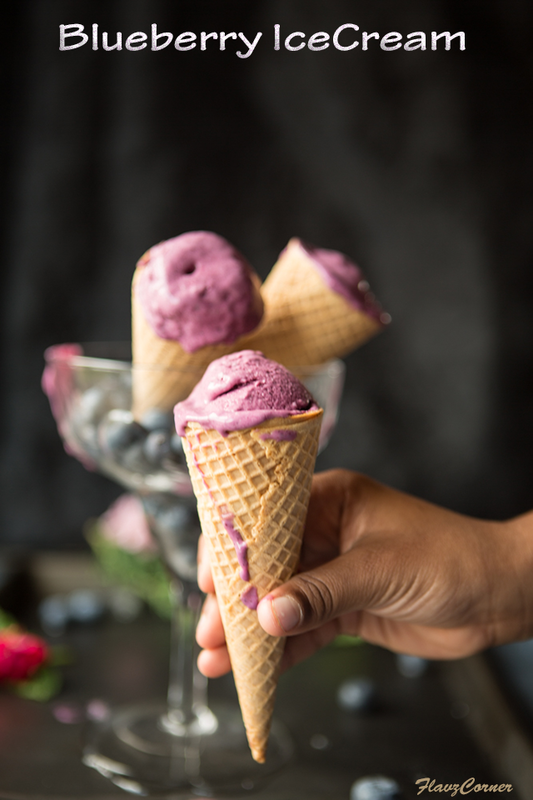 This time my daughter asked me to make ice cream with blueberries and I was so happy that she gave me the idea for my next post...lol. 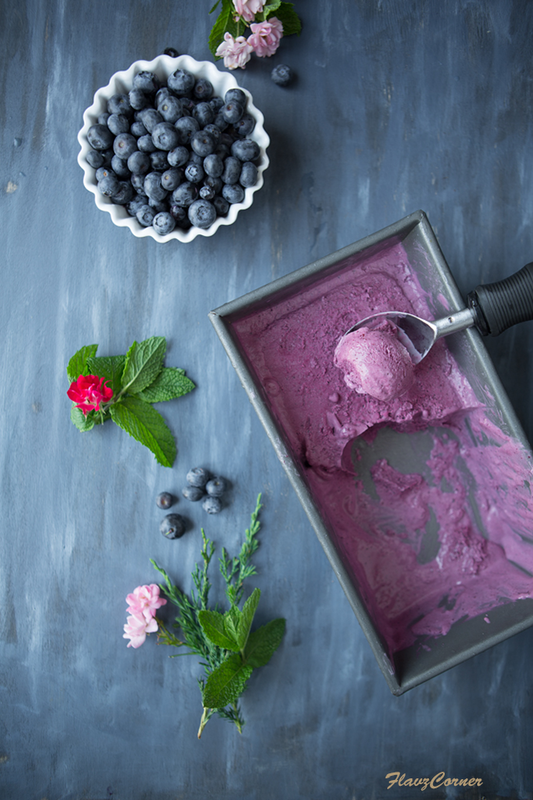 This creamy and smooth ice cream is not over sweet and has the lemony flavor that compliments the fruity blueberries in it. My little one was so excited to grab the sugar cone I was using for the photo shoot. He was eagerly waiting for me to finish the shooting and tell him to grab the cone. He even volunteered for hand modeling in the picture which was a surprise. It was an instant hit in my family. 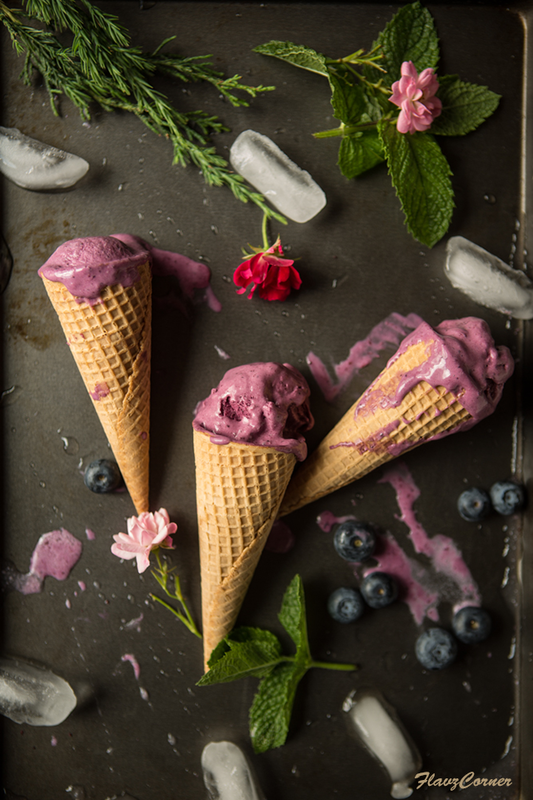 Give this easy peasy recipe a try and cool yourself with a fruity dessert in this hot weather. 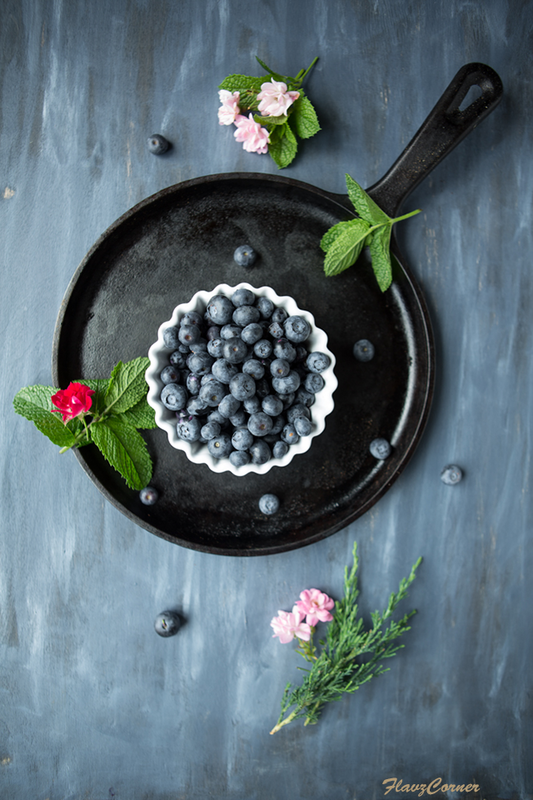 In a sauce pan bring the blueberries, sugar, lemon juice, lemon zest and salt to boil on medium heat till the blueberries starts to pop. Turn off the flame and let it cool for 10 minutes. 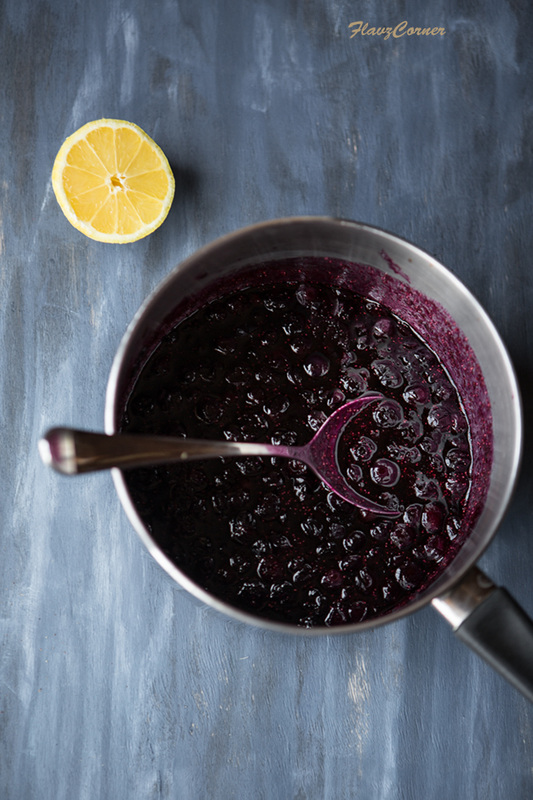 Blend the blueberry mix in the blender till smooth puree. Add the sour cream and heavy cream and blend well. Cool the mix in the refrigerator for 2-3 hrs. 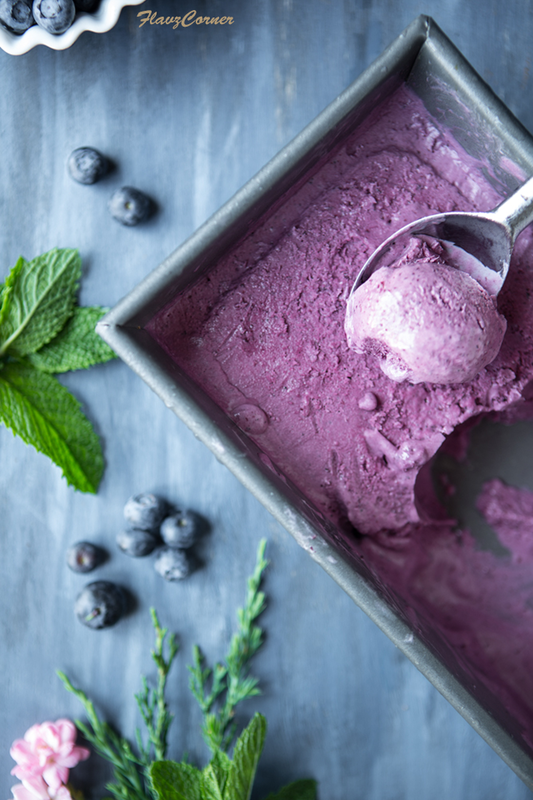 Churn the blueberry ice cream mix in the ice cream maker per the manufacturer's directions and enjoy! If no ice cream maker is available. Whip the mix in the stand mixer or hand mixer till soft peaks are formed and freeze for 3 - 4 hrs. Lovely! I need to get some more berries to make a batch too. Haven't made blueberry ice cream in ages. Now, of course, you have me craving it. Great recipe, terrific pictures. Thanks! I have an icecream machine which is almost absconded, time to dust it again and churn something I guess..ypur blueberry ice cream looks so so yumm..hats off to you for taking such beautiful pics..love your board..it must have taken a while to clear up all after the photo shoot :) But it was all worth it ! 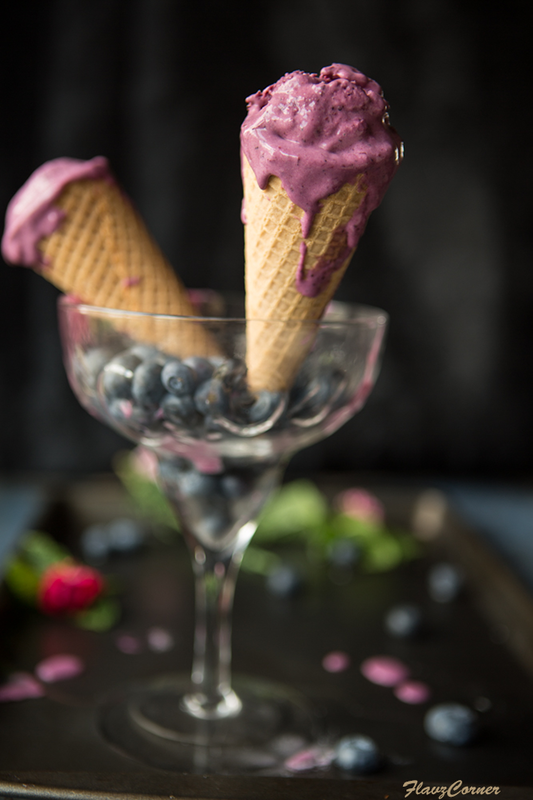 I have never had blueberry ice cream:( It looks awesome!!! A very beautiful presentation..